Walkers have started a new recycling scheme in order to stop millions of empty crisp packets ending up in landfill after pressure from consumers. The company currently produces more than 7000 non-recyclable crisp packets every minute. However, from December there will be collection points for consumers to deposit any brand of crisp packet, or they can post them to the recycling firm TerraCycle. The packets will be cleaned, shredded and turned into small plastic pellets that will be used to make other plastic items. 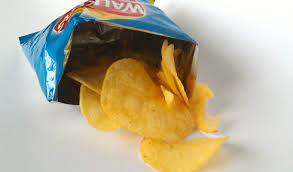 UK consumers go through around 6 billion crisp packets every year, these packets are currently made from a metallised plastic film. More than 332,000 people signed a petition asking Walkers and other manufacturers to change the packaging they use.